Find out how Australians have succumbed to personal debt in 2018 and how to avoid it. Debt is a fact of life for many Australians. While it can play a vital role in ensuring that people can buy things they need in the here and now even if times are hard, it’s also the cause of a number of social problems too – including the perpetuation of poor personal financial management, and even mental health problems. For those who either aren’t in debt or who only periodically dip in and out of it, the statistics can actually seem quite surprising. The OECD, for example, found that the ratio of debt in Australian households to the income of the same households sat at a huge 212% in 2015 – which is unusual compared to most of the rest of the world. This blog post will explore what some of the major vehicles for this explosion of personal debt have been, and how they play into the wider picture of Australia’s economy and society. Credit cards are ideal for those who have sound financial planning skills, and who want to purchase something now while being sure they can afford to pay it off next month. But often the issue with credit cards is that they’re used in a way that doesn’t take into account just how high the fees on late payments can be – and that can soon lead to a debt spiral. Increased financial education, then, is often touted as a solution to the issue. There has long since been a “debt industry” in Australia and around the world, and there’s certainly nothing new about individuals and companies loaning out cash and charging interest. But the latest iteration of consumer debt as a service is the “payday lender”. This sort of company provides loans to people on lower incomes, but then charges them extortionate interest rates. Often a payday lender might be a person’s only potential source of income – and as a result of this potential desperation, the repayment rate rises substantially. Some payday loan companies claim that they’re filling a gap in the market and providing a service where other lenders, like banks, won’t. But a number of Australian lawmakers have been trying to outlaw this practice, or at least ensure it’s more regulated in order to protect the most vulnerable. Minister Kelly O’Dwyer, for example, recently spearheaded a government initiative designed to reduce the amount of harm that these lenders could do. Her reasoning, she said, was that the moves would ensure “vulnerable consumers are afforded appropriate levels of consumer protection”. Mortgages are, to many people, one “acceptable” form of debt. Given that they provide people with the chance to access housing while also investing for the long term, it’s clear that they’ve got plenty of benefits – and hundreds of thousands of Australians with mortgages would be sure to agree. But mortgages can also become dangerous for some Australians. 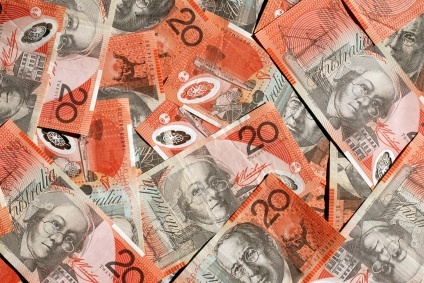 It’s believed, for example, that Australian lenders offer what is comparatively perhaps too much cash to prospective homeowners when they apply for mortgages, which could in the long term become the same sort of phenomenon as was blamed for the US sub-prime mortgage crisis leading to the market crash of 2008. As is the case in many of the world’s major consumer economies, personal debt is pretty much inescapable for a lot of people in Australia. It’s a way of managing life’s constant uncertainties: whether the consumer is experiencing a precarious job, a relationship break-up or a rental tenancy issue, it’s clear to see why there’s always going to be a market for have-now, pay-later cash that’s provided in a fast and easy way. But there are some key issues with personal debt, too. Sometimes lenders can go too far, and even the most reputable sources of debt – like mortgages – can also become problematic in the long run. As consumers and as companies, then, all those in the Australian personal debt market may find themselves exercising a little more caution in the coming years as these problems get ironed out.